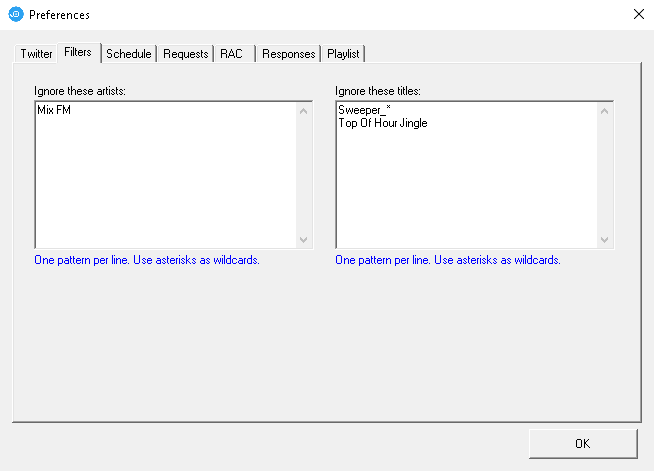 This free tool allows radio stations to accept requests via Twitter and have them play automatically in OtsAV. 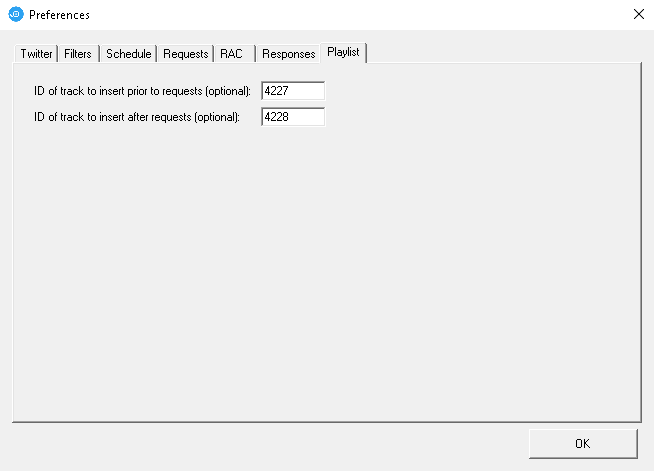 A filter allows you to choose which tracks cannot be requested. 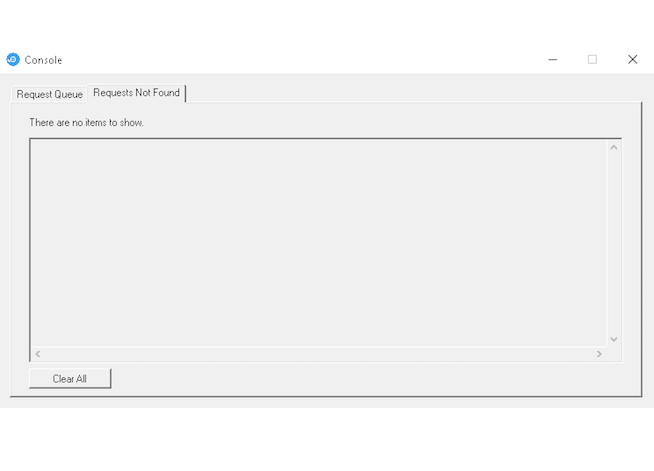 This is ideal for preventing people from requesting station IDs, promos, stingers, news clips, and so on. 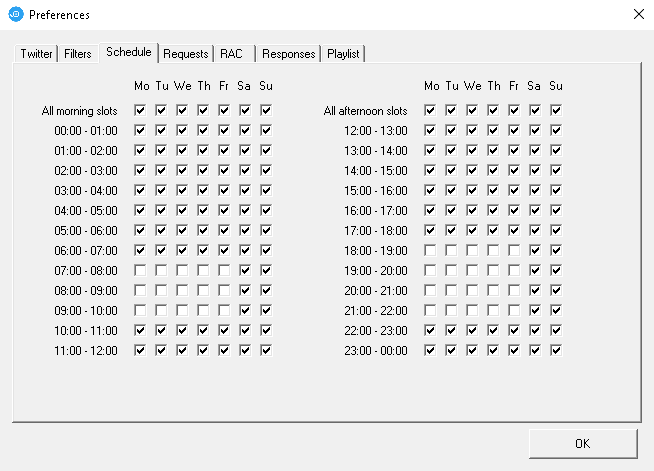 A full 168-hour weekly schedule allows you to determine when requests are accepted. Optionally specify a keyword or phrase that must appear at the beginning of Tweets (when enabled, non-compliant Tweets are ignored). 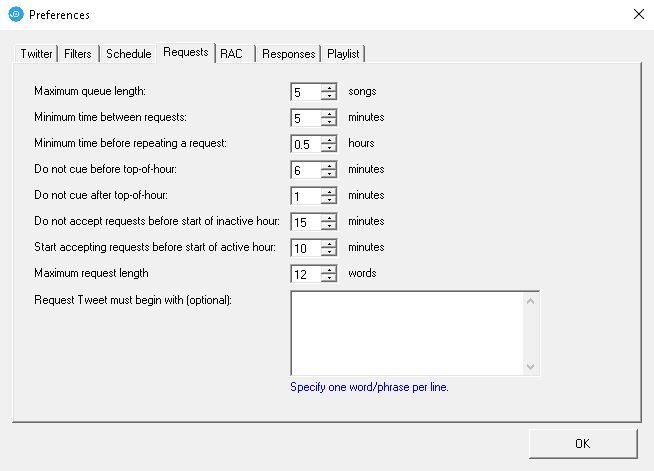 Define a minimum time period before a song can be requested a second time. Define periods before and after top-of-hour when requests are not cued. When transitioning from an inactive hour to an active hour, begin accepting requests before the top-of-hour (customisable number of minutes). Similar for transitioning in the other direction. Define a minimum number of minutes between cueing requests. 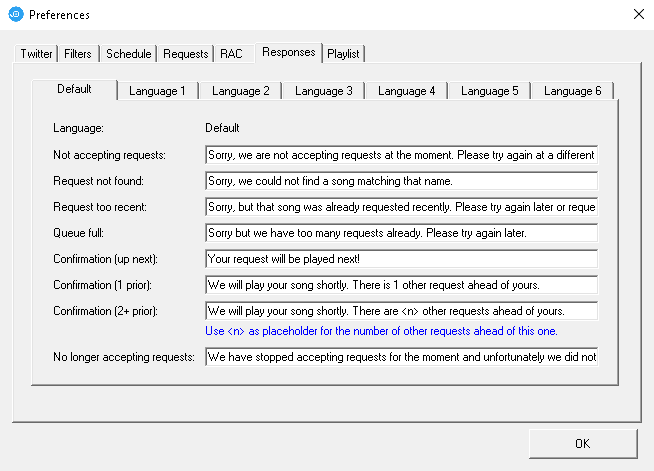 Specify how big the request queue is in terms of number of songs. Customisable replies to Tweets for different situations (song not found, song will be played next, song will be played after some other requests, not currently accepting requests, etc). Optional pre-roll and post-roll tracks to be played before/after requested song. The purpose of this is to allow stingers such as "And now another live Twitter request..." or "That was another live Twitter request" to be inserted at the appropriate places. 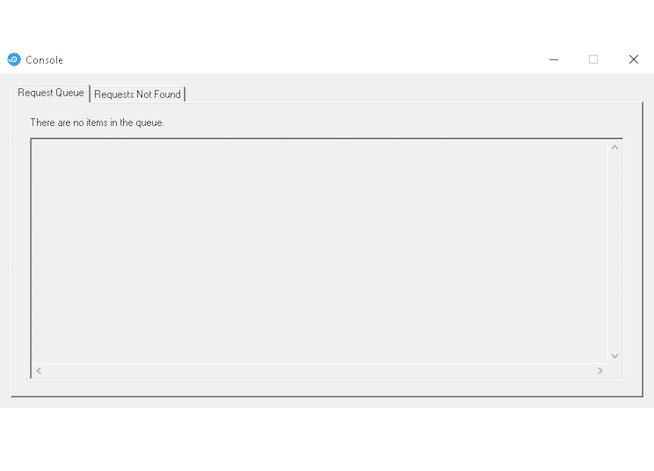 Station operators can monitor the request queue. Support for up to 6 languages (customised Tweets based on requester's language settings in Twitter). 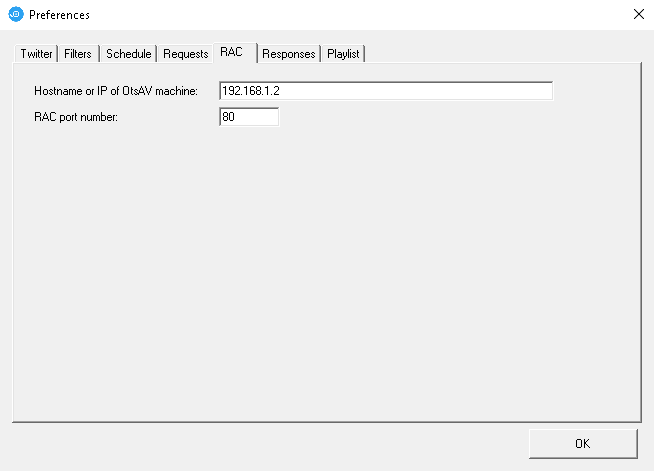 The OtsAV RAC must be enabled. 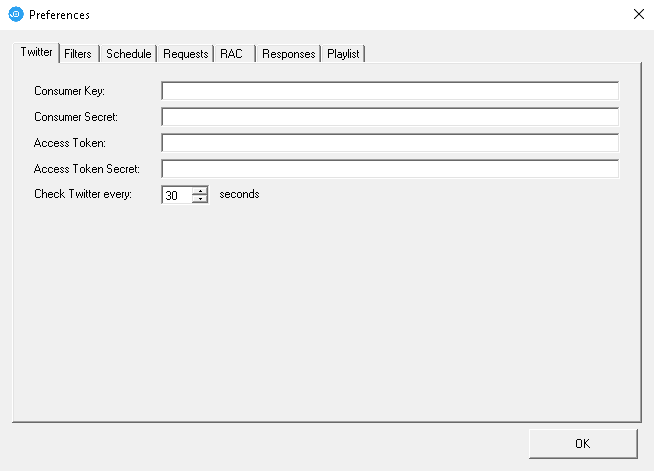 The computer which runs the Instant Request Tool (this may or may not be your OtsAV computer) must be able to connect to the RAC and must also have an Internet connection.